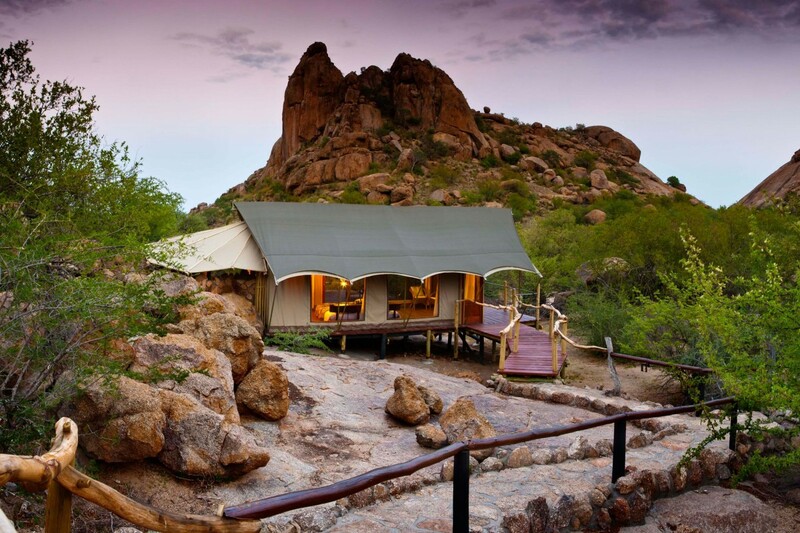 The Erongo Wilderness Lodge is a friendly and well-run camp west of Omaruru in the Erongo Mountains Nature Conservancy, excellent for walkers and birders. 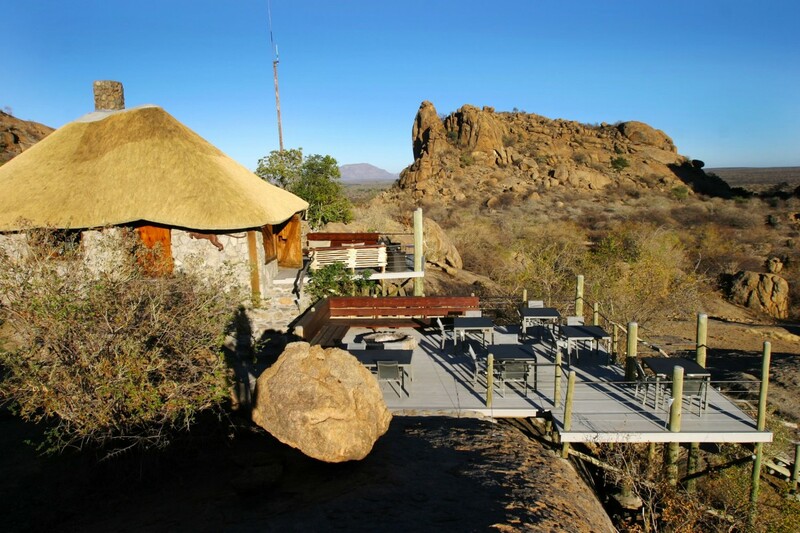 Accommodation is in 10 en suite raised tented chalets with thatched roofs scattered around a kopje (rocky outcrop) with plenty of privacy. The chalets have great views, comfortable beds, fridges, mosquito netted windows and a decking area with sun loungers. There are raised stone and wooden walkways to connect the chalets with the higher main building which has a restaurant serving delicious meals, lounge and fireplace. There is also a small library and curio shop and the walls are decorated with historic artefacts. Just below the main building is a small swimming pool in which to cool off and admire the marvellous views, plus a water hole visited by smaller nocturnal wildlife particularly Cape porcupines. Activities include nature walks, usually with early starts to maximise sightings, and again in the evening as part of a sundowner drive. There are also nature drives offered (at extra cost). Local wildlife includes Hartman’s mountain zebra, springbok, kudu, steenbok, klipspringer, dassie rats, baboons and surprisingly diverse bird life including the beautiful rosy-headed lovebird and the enigmatic white-tailed shrike. The nearby Paula’s Cave has fascinating bushman rock art, and special al fresco meals can be arranged at scenic spots in the great desert landscape. 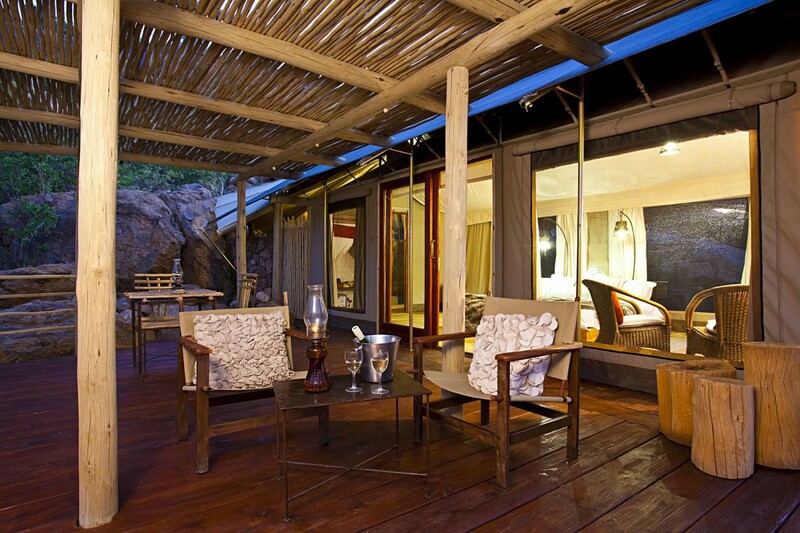 Private facilities, restaurant, lounge, swimming pool, library, curio shop, fridge, sun decks and mosquito nets. 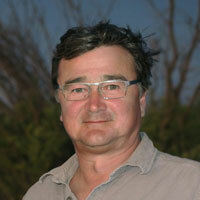 There is a waterhole at the lodge visited at night by Cape porcupine, jackal and other nocturnal wildlife. The endemic rock dassie rat as well as common dassies can be seen sunbathing on top of the larger rocks. The area is superb for birding and star species include the rosy-faced lovebirds. 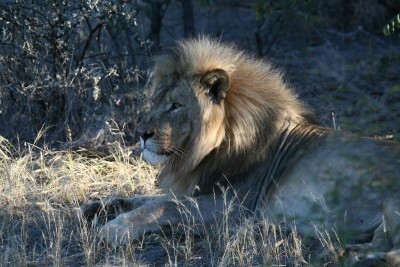 Larger mammals include Hartman’s mountain zebra, springbok, kudu, steenbok, klipspringer and besia oryx. Guided nature and sundowner walks and drives. Excursions to Paula's Cave are also available. 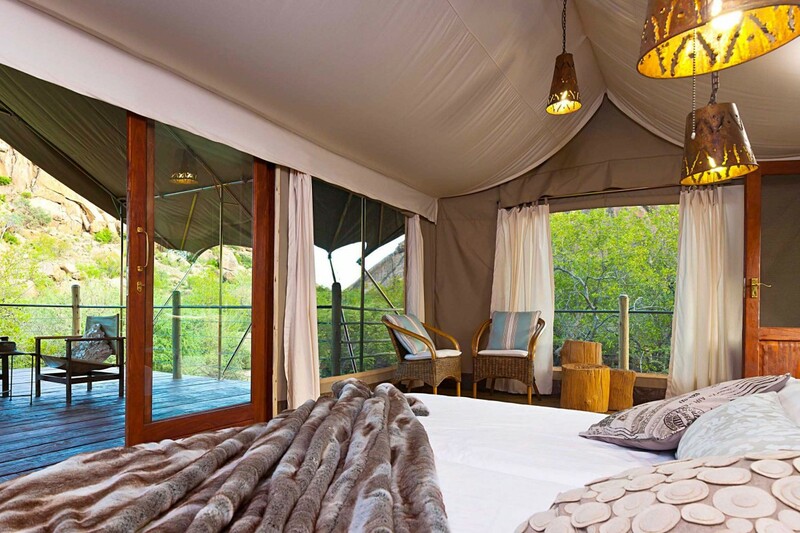 As this is on the way from Etosha to Swakopmund, guests often stay only one night en route but usually regret it, so do try to stay for two nights or more – it’s well worth it, especially if you like walking and/or birding. The nearby small town of Omaruru is quite interesting for its German colonial buildings and historic feel.